This Free Promotional Comic is VERY Rare! 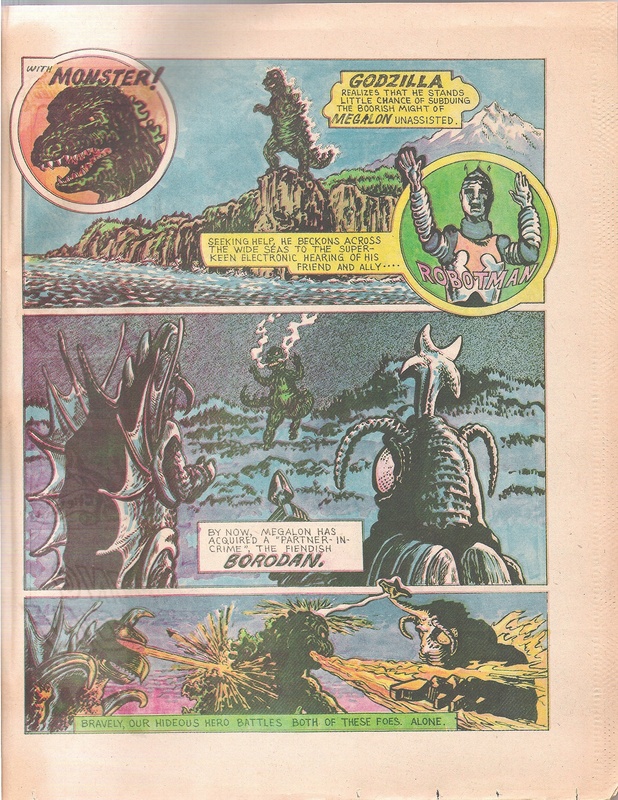 For U.S. Godzilla fans in the 1970s, comic books about the King of the Monsters were one of the few collectibles available to us outside of monster magazine covers. 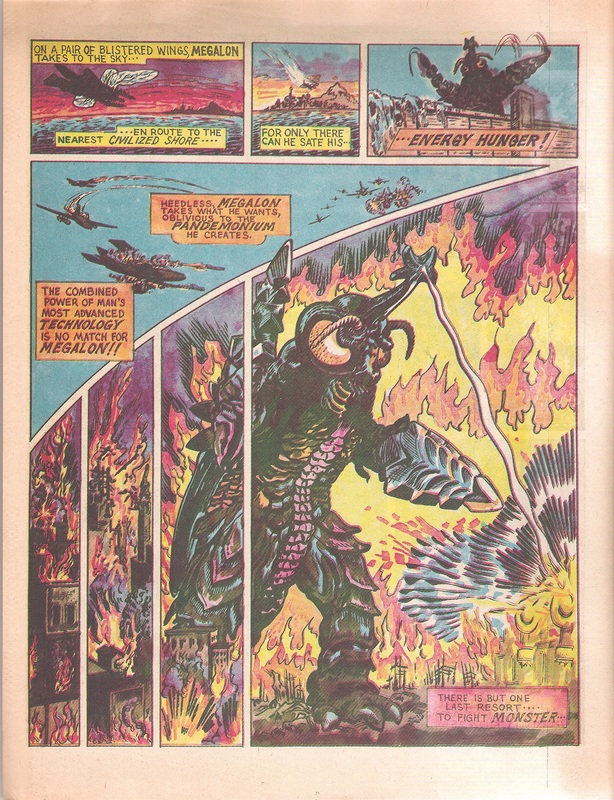 While most of us fondly recall Marvel Comics Godzilla series, it was not the first American comic book to feature the King of the Monsters. 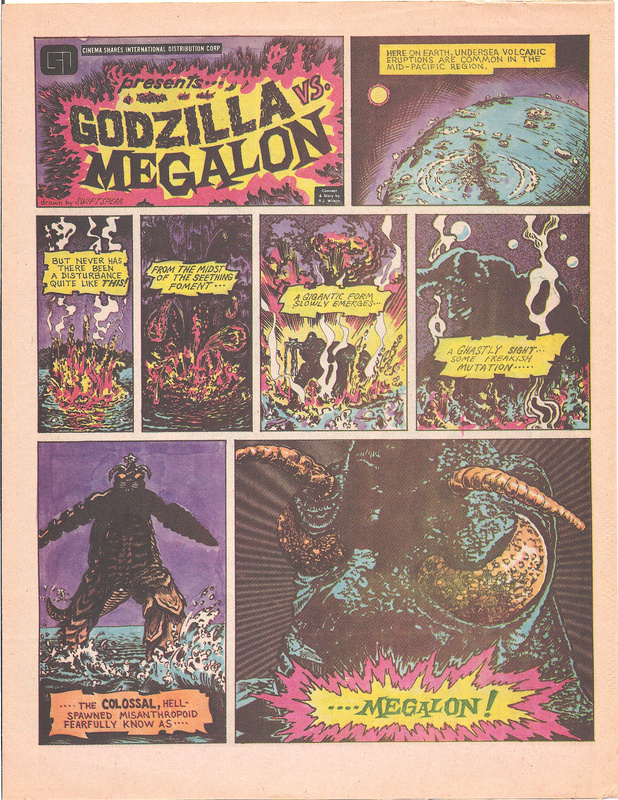 In 1976, Godzilla vs Megalon made it’s way to U.S. theaters by way of a distribution company called Cinema Shares International. 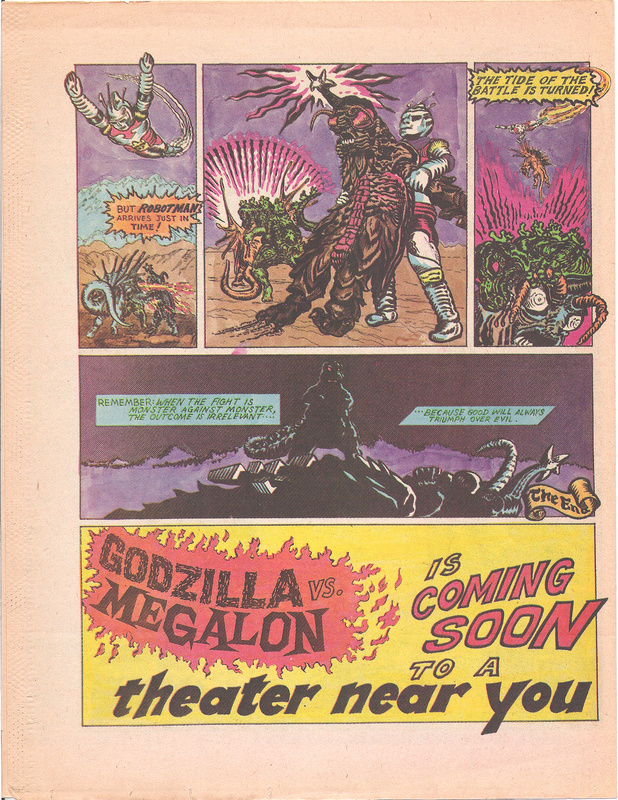 Movie goers received a free promotional comic book adaptation of the film courtesy of Cinema Shares that is now considered the first U.S. comic book of Godzilla. This four-page, cover-less, newspaper print comic is quite rare and, thus, quite sought after by collectors. Godzilla realizes he stands little chance of subduing the boorish might of Megalon unassisted. As I said, the creative team is uncredited and I can’t find any information on who might have been involved in writing, drawing and inking this little gem of a collectible. A CGC 9.0 copy is currently available on Amazon.com for $5,499! Some lower grade copies are currently available on eBay at far more reasonable prices. Did you get this comic at the theater? Do you recall your experience reading it? Share your memories with us in the comments section.